This is where we have come to. In the past week, the government of Yemen collapsed, which has serious ramifications in any one of a number of areas: the growth of al-Qaeda, Shia versus Sunni relations, the interrupted rebuilding of a fractured society. The president gave a state of the union address that highlighted his decision to take on the GOP controlled Congress. Kurdish fighters drove ISIS out of Kobani on the Syrian-Turkish border. North Dakota says three million gallons of potentially toxic salt water, created by a fracking operation, spilled into a creek, reigniting the debate about the safety of these operations. Legislators in Alabama are threatening to arrest any one performing a marriage of any kind as a protest against a recent ruling that found its ban on gay marriage unconstitutional. But America is obsessed with a story about deflated footballs. One of the teams in the upcoming super Bowl,the New England Patriots, has been accused of slightly lowering the pressure in the footballs to make it slightly softer and provide a better grip for the quarterback, Tom Brady. The topic of how many pounds per square inch a professional football needs to be inflated has focused the attention of a large section of the country in a way that talk about the deficit, or health care or the closing of Guantanamo Bay never could. At one point this week, the story lead the national evening news broadcast of the major networks, and was ubiquitous on cable channels. You could blame the country’s preoccupation with the football story on a number of factors – it’s January and people are bored after the holiday season, or perhaps the popularity of the game with many Americans especially during Super Bowl week. *Help sustain independent, non-partisan and professional journalism by buying a $1 day pass or subscription to Facts and Opinions. An online journal of first-rate reporting and analysis, without borders, F&O is employee-owned, does not carry advertising, and is funded entirely by readers. Click here to purchase a $1 day pass or subscription, from $2.95/month to $19.95/year. Receive free blog emails via the form on FRONTLINES. Thank you for your patronage. Please tell others about us. Have Somalia’s lessons, hard-learned, have finally taken? The burned-out palace of ousted dictator Siad Barre was still smouldering when I got to the Somali capital, Mogadishu, almost exactly 24 years ago. On Jan. 27, 1991, Barre had emptied the contents of the national bank into a tank and sped off into the western dessert as a motley crew of fighters from a couple of dozen clan militias closed in on him. Thus ended Barre’s 22 years of always despotic, frequently murderous, and endemically corrupt rule. Yet set against all that has happened in the 24 years since to the people of this benighted nation, Barre’s dictatorship can seem like a golden age. Since 1991, at least 350,000 people have been killed by famine. Tens of thousands more have died in meaningless clan civil wars. Hundreds of thousands more remain refugees in neighbouring countries. Half a dozen foreign invasions, most of them half-hearted but deadly nonetheless, have attempted to bring security. Throughout the quarter century of chaos Somalia has been and remains a haven for terrorists, whose deadly activities have spilled over into neighbouring Kenya and Uganda. 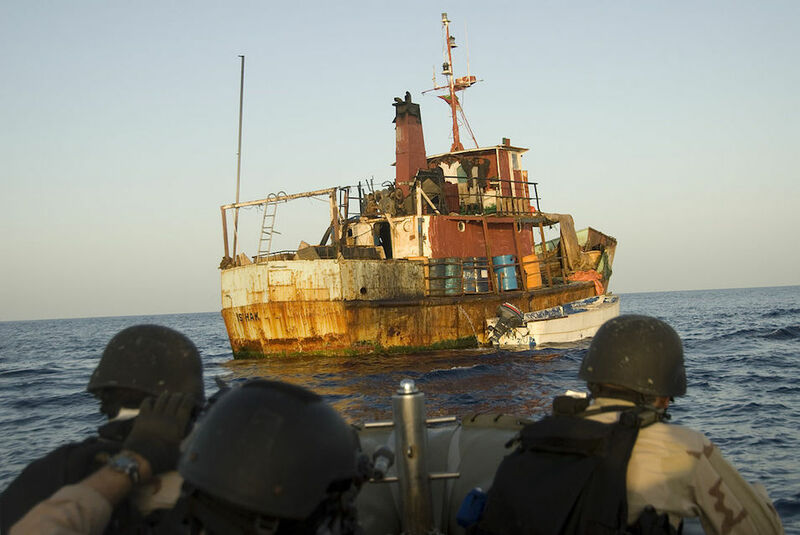 Lawlessness gave birth to ruthless pirate coastal enclaves, preying on vessels plying the Indian Ocean and spurring an international naval response. The only time there has been anything like stable rule, it has come from blood-thirsty religious fanatics allied with the trans-national Muslim terrorists, Al-Qaida. And things have been only marginally better in Somaliland, the old British protectorate in the north, and Puntland, on the very tip of the Horn of Africa in the northeast. Both these territories, which were joined with the old Italian Somali Protectorate in 1960 to form independent Somalia, broke away after Barre’s flight and have created reasonably functional administrations. He liked to say he stood head and shoulders above his contemporaries. Because Long John Baldry stood six-foot-seven (2m) in his stocking feet, this was probably literally true for a while. But it was equally true that because his contemporaries included the likes of Mick Jagger, Rod Stewart and Elton John – who all played in Baldry’s bands when starting out – they soon surpassed him in stature. His protégés never forgot, however, to whom they owed their success. Rod Stewart remained a lifelong friend. Elton John, who was born Reginald Dwight, took his first name from Baldry’s saxophonist, Elton Dean, and his last name from Baldry. Today marks the 70th anniversary of the liberation of Auschwitz-Birkenau, when Soviet troops freed the survivors of the Nazi death factory. 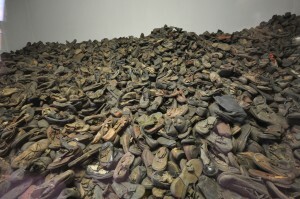 More than one million people were murdered at Auschwitz, most of them Jews. 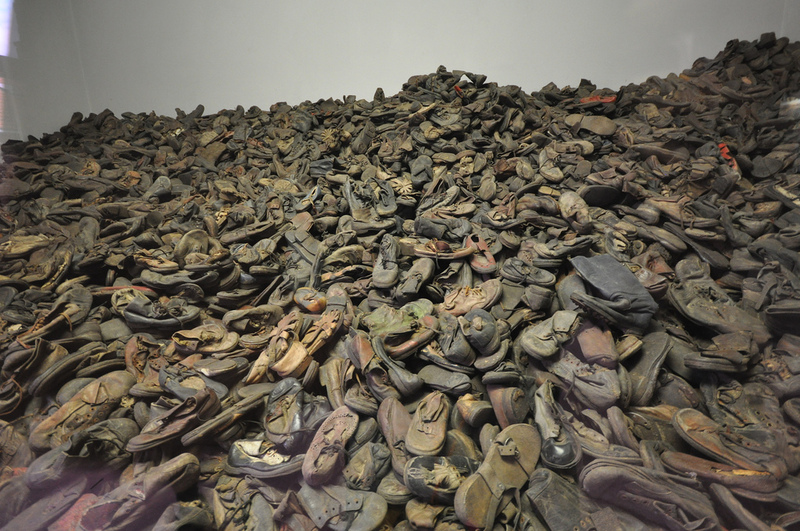 Read Auschwitz: ‛It took from three to 15 minutes to kill the people. The “Verbatim” feature is Facts and Opinions copy editor Michael Sasges’ report: extracts of the reasons for judgment prepared by members of the International Military Tribunal for Germany, which tried German leaders accused of war crimes. The document is one of the earliest summaries of the causes and consequences of the horrors perpetrated in the camp. It was the silence, the smell of ashes and the boundless surrounding expanse that struck Soviet soldier Ivan Martynushkin when his unit arrived in January 1945 to liberate the Nazi death camp at Auschwitz. As they entered the camp for the first time, the full horror of the Nazis’ crimes there were yet to emerge. Maus, a graphic novel, by American cartoonist Art Spiegelman. 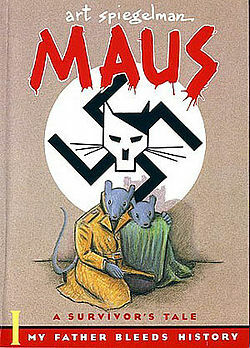 Maus, first serialized in the Raw anthology, was published by Pantheon Books in 1991. It won a 1992 Pulitzer Prize, the first graphic novel to win a Pulitzer. In the novel, Spiegelman interviews his father about his experiences as a survivor of Nazi concentration camps. In the summer of 1942, the young man from a village near Belgrade received his draft notice. Just a few months later, he was standing on a tower hundreds of kilometers away from his home in Yugoslavia. Jakob W. was now an SS guard in the Auschwitz-Birkenau concentration camp — and thus a party in the most horrific of the crimes committed by the Third Reich. For two and a half years, he looked down at the factory of human annihilation, day in and day out. … continue reading (you will leave Facts and Opinions). It’s wacky season in Washington once again. Wacky season comes in two flavors in the nation’s capitol: during the summer, when all the politicos would rather be jetting to a prime vacation spot on the private jet of a fat cat corporate sponsor, and when it’s time to start running for president. It’s the latter situation we find ourselves in these days. And one of the things that you will hear most often – along with the number of Republican presidential candidates who will say that God told them they should run for the nomination (why is God talking to so many of these people?) – are candidates who will say that they know what “the American people” want. The American people hate the president’s policies. The American people support the president’s policies. The American people want change. 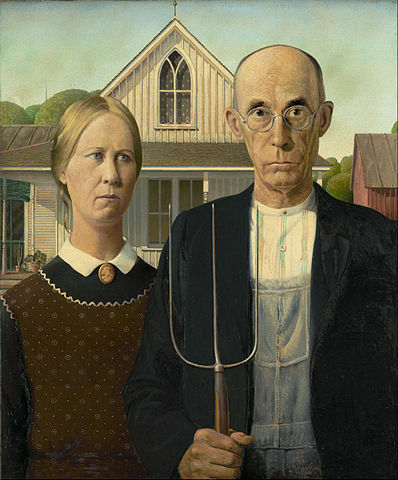 The American people want a return to tradition. The American people are opposed to gay marriage. The American people support gay marriage. If you listen long enough, you get the impression that the “American people” seem to have the ability to support totally contradictory ideas at the same time. … click to continue reading. 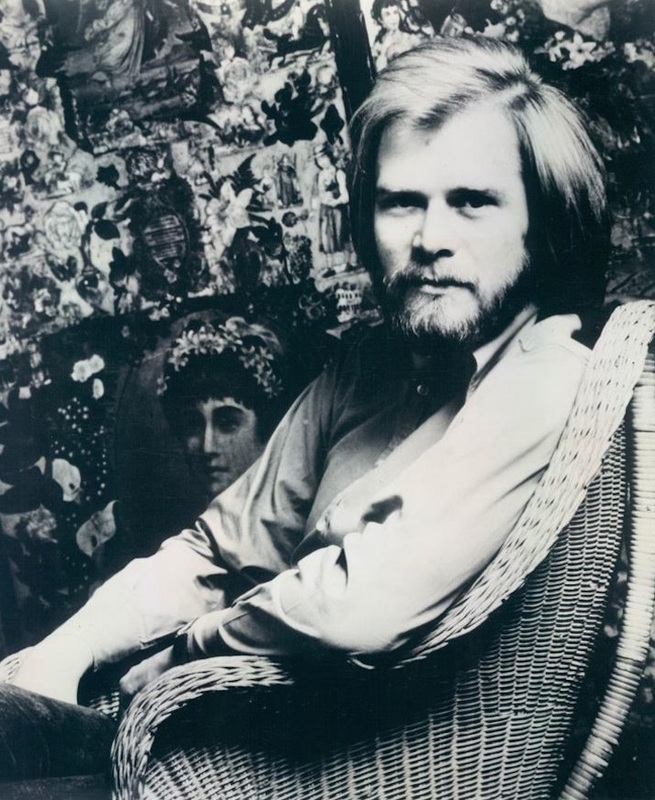 Click here for Tom Regan’s columnist page, Summoning Orenda. Orenda, a Huron word, represents the power of human will to change the world around us. It is an opposing force to fate or destiny. On January 25, say Scotch drinkers the world over, we are all Scottish. As a half-Scot, the words of Rabbie Burns — the same words used by my late Scottish mother and our relatives — have reverberated through my life, adding colour and more often confusion to the “Queen’s English.” “Och, aye” or “A dinna ken” slip out at the oddest of times. And, of course at New Year’s, “Auld Lang Syne” — with a global chorus. But the fact is, my Scottish burr is as far from authenticity as I, Canadian-born, am geographically removed from the auld country of my people. I lay no claim to fluency in any Scots dialect. I eat no haggis. And yet, though I canna quote him chapter and verse, Burns’ words run rough in my blood the way bagpipes linger in my ears. Neither are consistently pretty. Neither are particularly graceful. But one thing is for sure: both can move a person to a drink. So, Slàinte, Rabbie Burns. 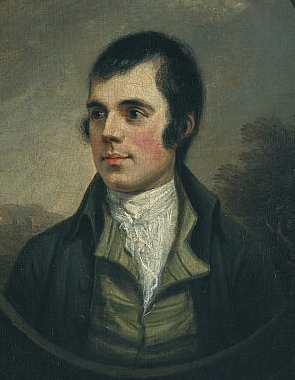 Robert Burns may have been long dead before the guns of World War One began firing but his poems and songs were used in ways that he could not have imagined. With more statues dedicated to him around the world than anyone bar Queen Victoria and Christopher Columbus, and Auld Lang Syne recognised by the Guinness Book of Records as one of the three most popular songs in the English language, along with Happy Birthday and For He’s a Jolly Good Fellow, Robert Burns has had no problem remaining relevant since his death in 1796. 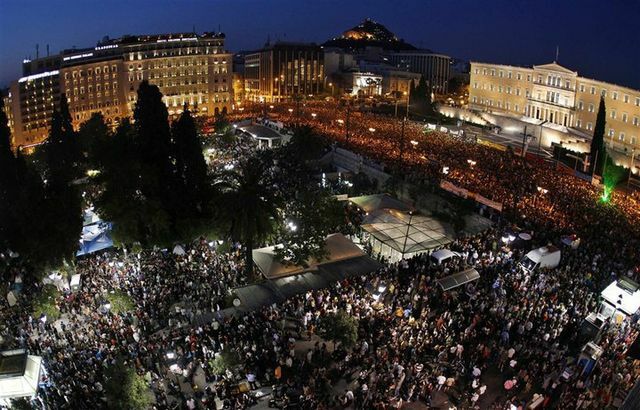 For years the world has watched Greece, the cradle of democracy, implode in protests and economic decline. Indebted Greece has long been ill-served by its political and business leaders, and lately beholden to creditors bent on austerity. And today when the Greek people go to the polls in a general election — if most pundits are right — not only Greece will change, but the ripples will be felt throughout Europe and globally. Syriza is poised to win by a large margin and this victory will end four decades of two-party rule in Greece. How significant is this victory for Europe and the rest of the world? Comments range from grave concerns about the impact on the euro and the global economy to jubilant support for the renewal of the European left. For sure, Syriza is at the centre of political attention in Europe. Click here to continue reading Why the Greek election matters. When will the penny drop at Davos? The one percent are meeting in Davos, Switzerland, this week—or at least, that fraction of the one percent that retains either a trace of social conscience or an instinct for personal survival that entails more than a private army and a fortified island somewhere. 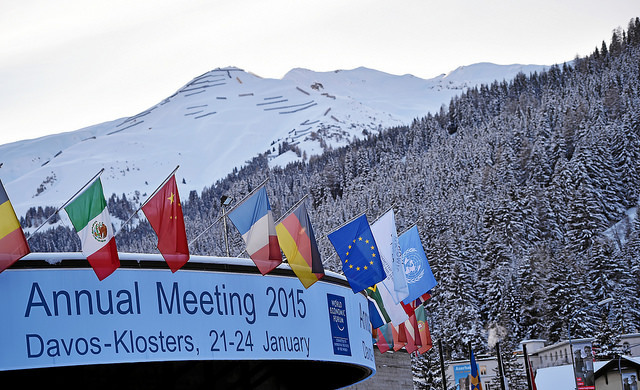 The World Economic Forum (WEF) is the one annual event at which the rich and powerful gather to consider the prospects for further expanding and entrenching the free market, neo-liberal economy that has made them the masters of their universe and ours. And as in other years, they will consider the threats that haunt their agenda. The conversation-starter for that discussion is a single, colourful graphic (see illustration, below) locating nearly 30 “risks” to the globalized economy along axes of likelihood and impact. They include low-likelihood, high-impact eventualities like the use of weapons of mass destruction, as well as high-likelihood but low-impact risks like failures of urban planning. But here’s the thing: of the 25 risks that the WEF planners ranked as either highly likely, or likely to have a high impact (above 4.5 on either scale of zero to six), or both, more than half (13) are consequences of local and global-scale failures of natural security. Facts and Opinions is an online journal of select and first-rate reporting and analysis, in words and images: a boutique for slow journalism, without borders. Independent, non-partisan and employee-owned, F&O performs journalism for citizens, funded entirely by readers like you. We do not carry advertising or solicit donations from foundations or causes. Thank you for your patronage. Please tell others about us. 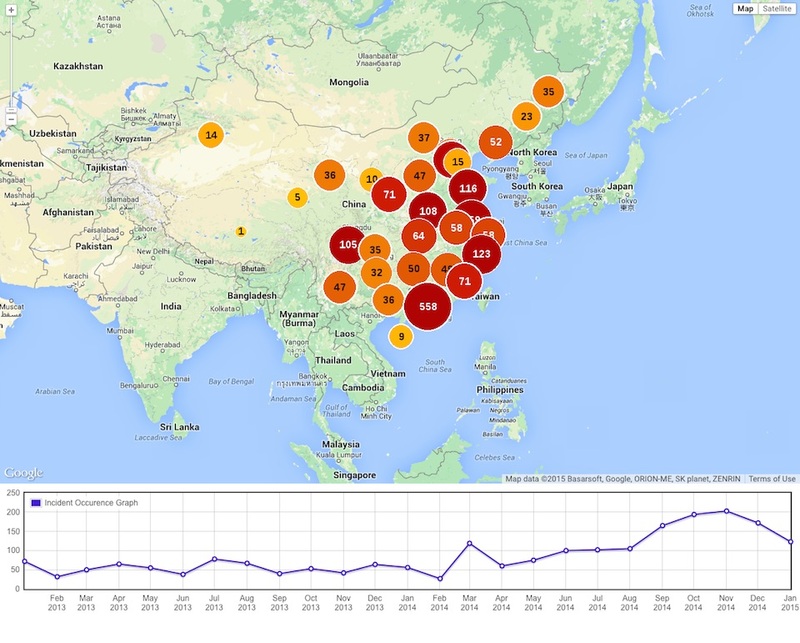 Twenty-four months of work stoppages are recorded in this graphic created from information collected and maintained by China Labour Bulletin. Its cause a Chinese labour movement independent of the Communist party the bulletin permits the China-watcher to monitor the ordinary and everyday aspirations of a people and the apprehensions of their leaders. clb.org.hk/en/is the address of its English-language website. As China’s economy slows to a crawl, the Communist Party is facing one of its worst nightmares: a militant labour movement. The Hong Kong-based China Labour Bulletin, which collects data on strikes and lockouts in China as well as promoting workers’ rights, says there has been a dramatic upturn in labour unrest across the country. As the country’s economy slowed to its lowest growth level since 1990, strikes and protests in the last three months of 2014 were three times those of the same period the year before. “The dramatic upturn can be partially explained by the increased use of cheap smartphones and social media as tools by workers to get news of their protest action to a wider audience,” says the latest report by the group. For at least two decades the Beijing government has agreed with outside analysts that China needs to maintain an annual economic growth rate of at least eight per cent to provide jobs for the estimated 30 million young people entering the workforce every year and to maintain social stability. But as the growth in gross domestic product slipped to 7.4 per cent last year and is likely to hit only seven per cent this year, China’s leaders are trying to persuade the country’s nearly 800-million-strong workforce that low growth is the “new normal.” Log in first to read Labour unrest surges as China’s economy slows (subscription required*). Facts and Opinions is an online journal of select and first-rate reporting and analysis, in words and images: a boutique for slow journalism, without borders. Independent, non-partisan and employee-owned, F&O performs journalism for citizens, funded entirely by readers like you. We do not carry advertising or solicit donations from foundations or causes. Thank you for your patronage, and please tell others about us. 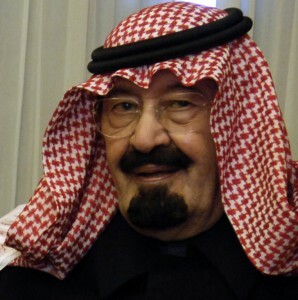 Saudi Arabia King Abdullah bin Abdul al-said in 2007. U.S. government photo/ Cherie A. Thurlby. It’s been a long time coming, but the looming crisis in Saudi Arabia’s absolute monarchy is finally in clear sight. What has brought matters into focus was the dispatch to hospital in Riyadh this week of 91-year-old King Abdullah, who is suffering from pneumonia. The king’s months of evident ill health come after his attempt to embed some political stability in the country of 29 million people and the world’s largest oil producer by appointing not only his successor, but also his successor’s successor. Far from providing security and continuity, Abdullah’s action is more likely to set off a potentially disastrous contest for the throne among Saudi Arabia’s princely families. The prospect of political upheaval in Saudi Arabia is severe. Saudi Arabia is the heartland of the Sunni Muslim sect and the home of the most sacred Islamic sites. But it is has a large and restive population of Shia Muslims and is the fountainhead of the most fanatical and violent Muslim organizations such as Al-Qaida and the Islamic State group (ISG), also known by the Initials ISIS and ISIL.